Please note that our museum is currently closed due to restoration works at the venue. 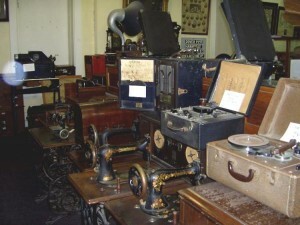 Come to our Museum and immerse yourself in the varied history of Williamstown. You will find our two-storeyed Heritage Listed building at 5 Electra Street, built in 1860 as a Mechanics Institute and Library. 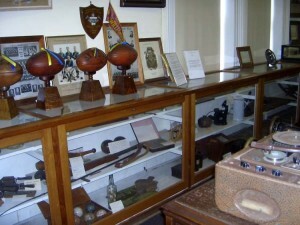 The collection highlights the diverse activities of the inhabitants of this historical seaport with photographs, paintings, artifacts and models which also include sporting memorabilia. Though we have a core static display, individual exhibits are regularly changed and expanded to add variety and interest. Reduced opening times: Due to a shortage of volunteers, our museum will only open on the first and third Sundays until further notice. Sundays, 1.00 to 4.00 pm on the first and third Sunday of the month. Group and school visits are available by appointment. Guides for coach tours are also available.